The Speciality is a firm favourite and displays tremendous class at every opportunity. 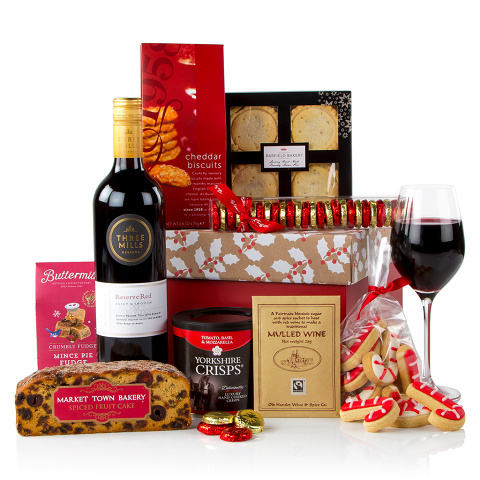 The Reserve Red Three Mills red wine is top-notch and sits comfortably amongst this selection of traditional luxury Christmas treats including mince pie fudge, Yorkshire Crisps Tomato, Basil & Mozzerella Crisps and Market Town Bakery Spiced Fruit Slab Cake. A great Christmas gift.